Knittingdancer on Ravelry who wrote, "I am so glad you & your family are having a great time in Hawaii. The pictures are great. The water looks so inviting. It has been in upper 90's and low 100's for 2 weeks, and no end in sight. I live in Florence, Alabama." BeckyinVT who left a comment saying, "I found your blog through twitter - so yay for social networking!" Cindy who said, "The yarn is beautiful! I think I found your blog from a link at another blog. Thanks!" JodyH who commented, "I found your blog from a link on Never Not Knitting and have been a fan ever since. Love the Malabrigo -- hope I win!" Congratulations! Please contact me at yarnonthehouse@gmail.com to claim your prizes. Hi, everyone! It's my last couple of days in Hawaii and I thought it would be fun to share more pictures with you, since I don't have any knitting stuff to talk about. If you don't care to look at my family vacation pics, I completely understand! Scroll right on down to the bottom of this post and see the AWESOME MALABRIGO GIVEAWAY THAT CANNOT BE MISSED THIS WEEK!! And, yes, that was me yelling! The other day we went to see Waimea Canyon. 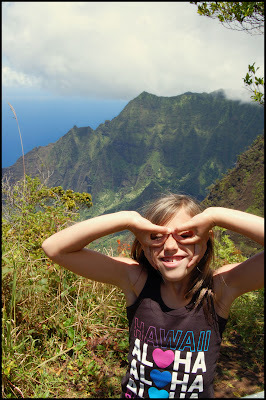 My daughter is posing for the blog as well and pretending to be flying. Yeah, it looks a little scary! Then we drove up a little further to a lookout where we could see the Niihau Island. 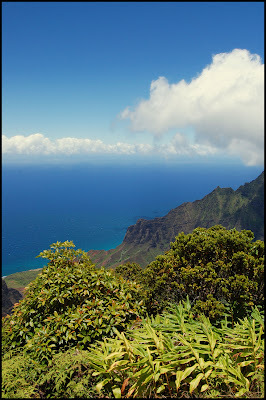 A little farther up and you can see the Na Pali coast. Jasmine and Marc posing for another photo op. This picture was too cute not to share. 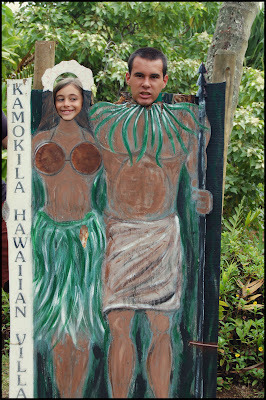 Today we went to the Kamokila Hawaiian Village and spend the day kayaking and exploring the historic village. 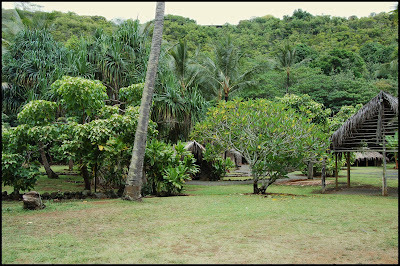 It's really neat to see all the grass huts and fruit trees everywhere. 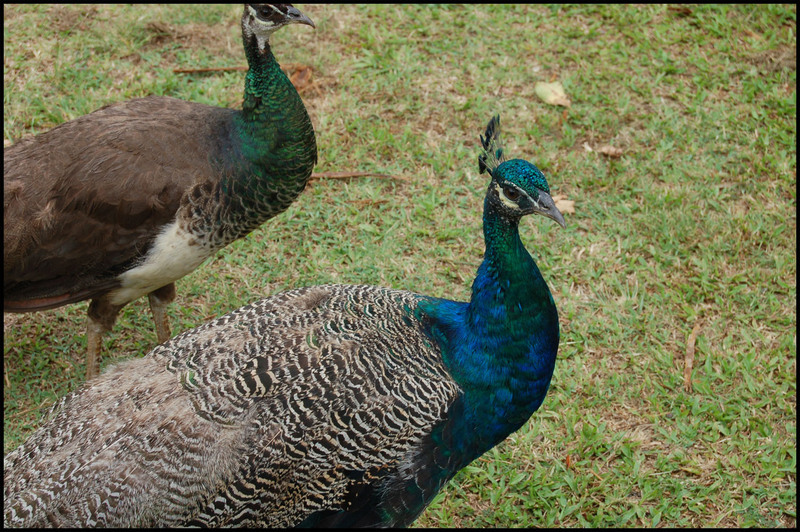 There were a ton of peacocks walking around. Here's one shaking her tail feathers at ya! 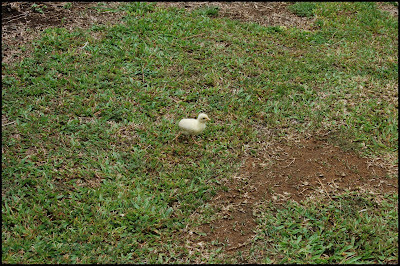 I couldn't resist taking a picture of the baby peacock running around. It looks like a baby chick, right? It possibly could be, but after this pic was taken, it ran off with a peacock mommy. There's really no good reason for this picture except that I thought the lonely leaf was really cool to photograph. That's all I got for you... now onto the good stuff! This week I am SOOOOOOOOO excited to announce that the Malabrigo giving away is continuing! I have EIGHT skeins of Malabrigo Rios to give away to EIGHT lucky followers. That's right, you heard correctly. I have Rios in my hot little hands and EIGHT lucky winners will have some too shortly. Malabrigo Rios is a spectacular superwash merino wool in a worsted weight. It is soon to be released into stores, and from what I am aware of is currently not yet available anywhere. How exciting is that?! I can't wait to try this yarn and plan to as soon I return back home! I love Malabrigo Worsted but I think Rios may end up just being my new favorite. I'll be sure to report back. 1. Read over the rules if you have not done so already. 2. Leave a comment on this blog post by the end of Sunday, 8/15/10. Check out the lovely Malabrigo colorways of the "my still favorite" Worsted here and tell us which is your favorite. I can't seem to pick a favorite, but today I feel like knitting with Tuareg because it looks like the color of the ocean here in Hawaii. I'll randomly pick the winners on Sunday and post the results on Monday along with the new giveaway, so be sure to check back. Good luck everyone. Oh wow, that looks beautiful! I am a superwash fanatic, so I can't wait for this stuff to come out. My favorite Malabrigo Worsted color is Emerald. I made my son a hat out of it when he was a baby and it is just the perfect baby boy colorway. Wow those yarns look so lush and in dire need of being knitted into something equally as gorgeous! I'm torn between Rich Chocolate and Stone Blue. =) Please add me to the giveaway.. I keep hearing all the goodness of Malabrigo but have yet to be blessed with the opportunity to own/work with any. I would have to say that Cuarenta is my favorite, it reminds me of the color of the sky during summer sunset. Thanks for sharing the family photo's they were great!! The Red Mahogany is absolutely beautiful online, and I bet it's even better in person! :) I love reading your posts about yarn and about your family. Thanks for a great blog! Today I'm going to say that Whales Road is my favorite, but of course that could change with the weather. Looks like you're having a lot of fun there. Don't forget to hula! 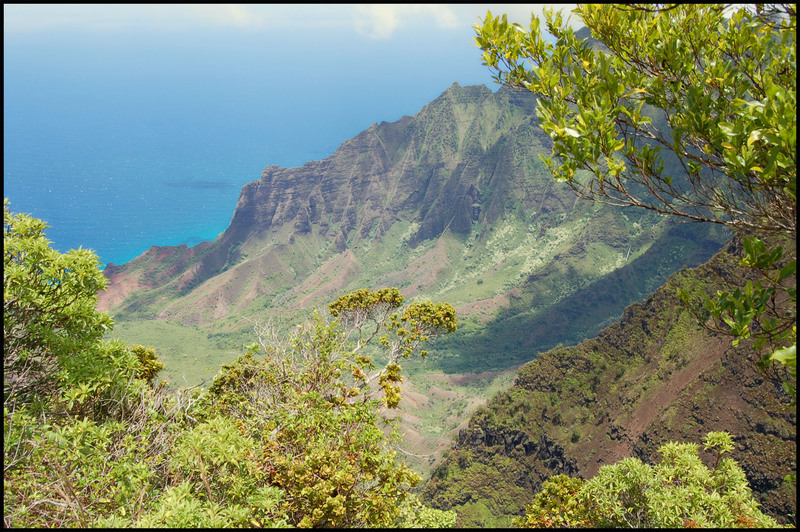 What gorgeous photos - both of Hawaii and the yarn! ;) I cannot pick a favorite. I love kettle dyed yarn and love ALL of them. Usually I'd love something like Autumn Forest or Navidad, but for some reason today I'm feeling Snow Bird and Deja-Vu. It's so hard to choose but this morning I am in an Autumn Forest state of mind. I snuck over to the Rios page and all of those colorways look so yummy! 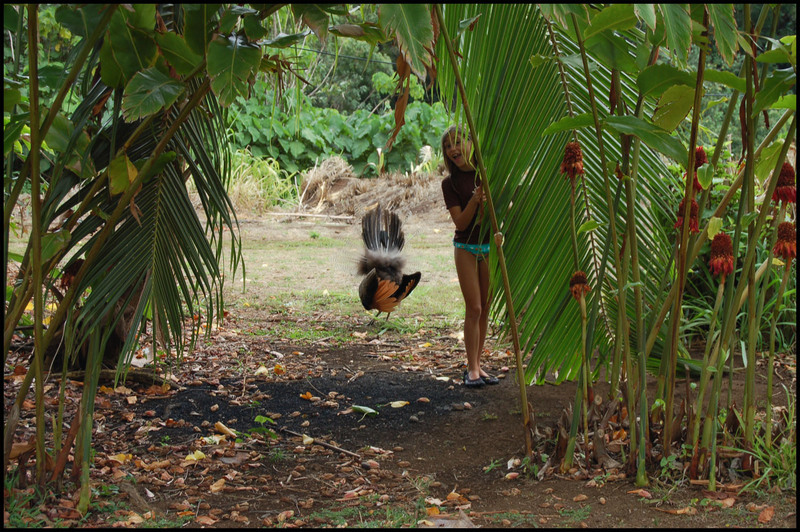 I loved the photos from Hawaii especially the "flying" ones. That's something my girls would do. The Rios is beautiful! I also really like the Deja-Vu colorway and I am hoping that my LYS gets some of it in! Oh, Ve! Looks like you are all having a wonderful time- so happy you are enjoying yourselves. As far as the Malabrigo goes, Pearl Ten has always been a favorite. Very beautiful yarn! Pink Frost, Orchid, or Periwinkle -- can't decide. Looks like Hawaii is lovely!! yummmm... that yarn looks delicious. It's really hard to choose one color, but if I have to, then I will go with Blue Surf. I love Malabrigo and my favorite is the Deja vu. Thanks for a chance in the giveaway. 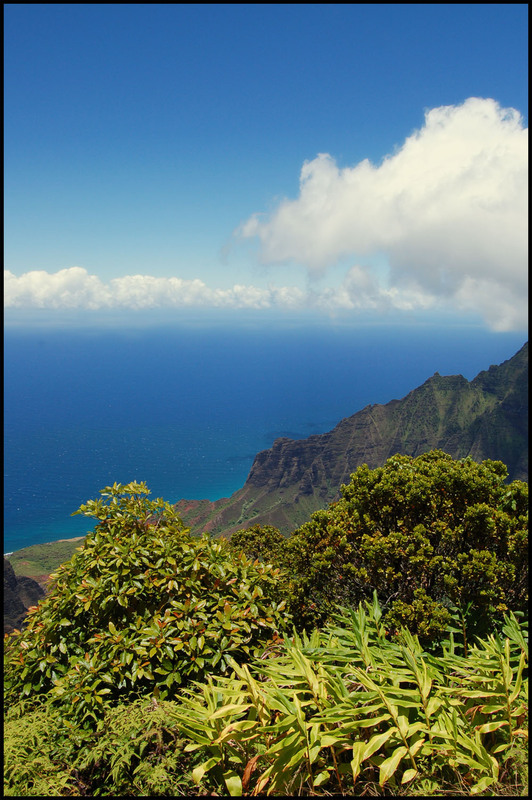 Oh, I love the Na Pali coast. It looks like you're having a great time! 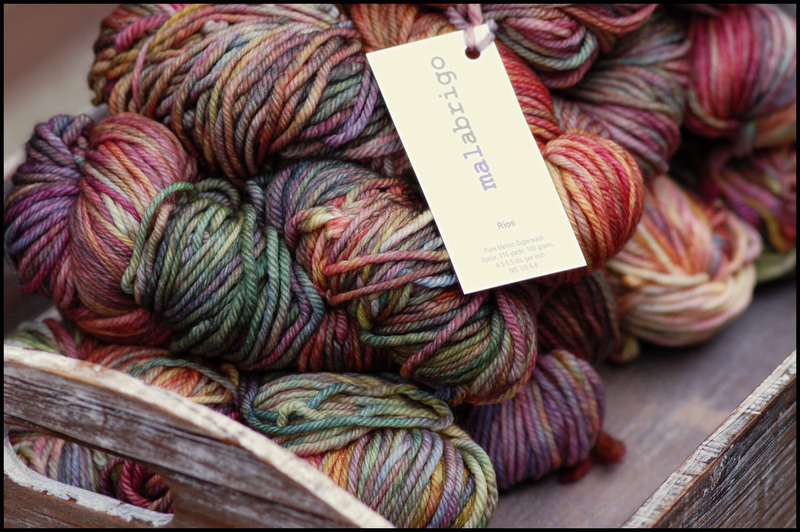 And Malabrigooooh... don't you just want to sigh when you say it? How can I pick a favorite color? This morning, Kaleidos looks especially yummy. What's the colorway of the Rios? That's gorgeous too! The givewaway yarn is beautiful! i will have to try some, have a pattern for it too! Never have knitted with malabrigo, maybe I'll get lucky this time. So, I will have to go with the applewood color for the sweater i have in mind. I LOVE Malabrigo and am sooo excited to see it in a superwash! My favorite has always been and still is Stonechat, but I really love all of their rich colors. The photos are gorgeous! Hope you're having a glorious time! I love the Pagoda color but I think its terribly cute they named one Ravelry red! I love your vacation pictures...especially the lone leaf picture! I'm feeling the love for that new color, Deja-Vu. It's so gorgeous! I love all the blues, but my two faves are Stone Blue and Buscando Azul. Bijou Blue makes me think of the perfect summer sky. Loved your vacation pictures...looks like a great trip! 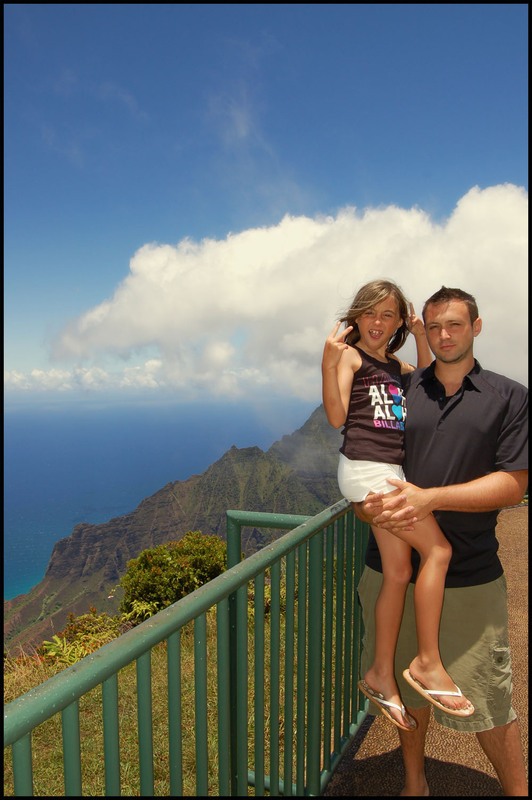 Hawaii--my favorite place in the world. Looking forward to our trip there in January! So many beautiful colors, but Buscando Azul is my favorite (and what a great name, too!). That is so beautiful! I think my favorite is Deja Vu. I love the random mix of muted colors with a few small pops. I've heard all kids of chatter about Rios - I'm curious as to how it feel as compared to the regular worsted. Is it still addictively soft? As for colorways, this morning 240 Oceanos appeals to me the most. Maybe because it is super hot here and it does remind me of the color of a deep blue cool sea. So many pretty colors... My eyes jumped right away to SFO sky! My favorite has and always will be Frank Ochre! Nice photos! My favorites are the periwinkle and apple cinnamon. My monitor is not doing the colors justice. Thank you for a great giveaway. 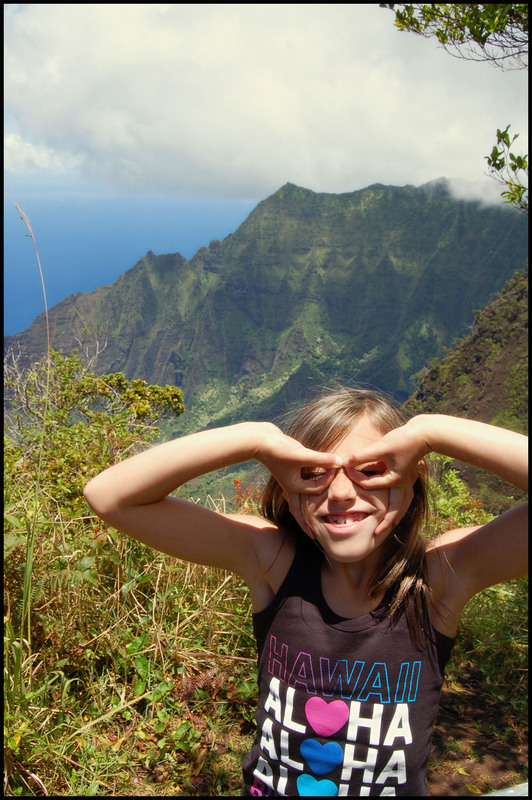 Thanks for sharing you Hawaii pictures. Again, my monitor is not doing them justice! Mmmm...Azul Profundo all the way (at this particular moment). i'll have to go with grape and pink frost, if i can only have 2 colors to choose-i'd prefer one of each! Wow what a wonderful vacation! 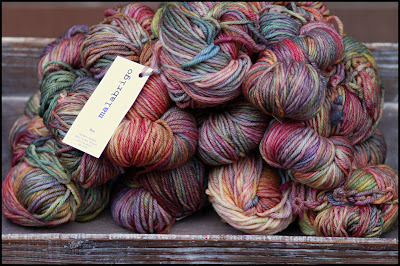 I am partial to the stonechat colorway - but all are so lovely. I always "pet" the malabrigo when I visit my LYS! Ooooh, they are all so beautiful! I think Molly is my favorite...today :) Thank you once again! It is a toss up between Plena and Nostalgia. I am leaning toward Plena since I already have some in Nostalgia! These are so beautiful. 5 different times I almost typed a color. I decided to go with Charrua. So hard to choose... My favorite of the day might be Cuarzo (or possibly Violetas). What lovely yarn! Right now I really love Noviembre! Oooh, pretty! At the moment I'm digging the Black Forest, but really, I'm sure I could come up with a use for any of those beautiful colors. How could anyone pick a favorite?!? Well, if I have to, I'm currently in an orange/peachy mood, so I'll go with Tiger Lily! I am dying to try mal's superwash! It is almost a dream come true. I love all of their colors, but I especially like their bright colors like azul bolita. I can't possible pick just one! Everything in the blue and purple colorways are to die for! the Azul Bolita and Purple Mystery really caught my eye along with everything else! Your pics of Hawaii are beautiful! I'm also excited to see how a superwash Malabrigo actually washes up. Their new Coco looks yummy, but Chapel Stone will always be my 1st favorite. 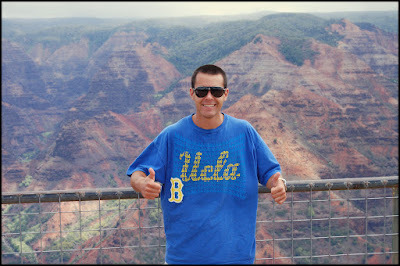 Thanks for the great pics of Waimea Canyon. 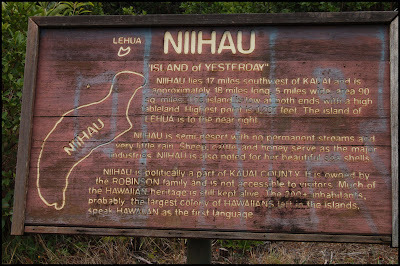 My husband and I visited there on our honeymoon 11 years ago. Oh how I would like to get back there! I am very excited about the new malbrigo! 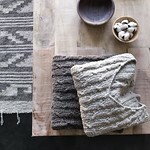 I think the Indigo and Dark Earth are gorgeous, but it is too hard to pick a favorite out of all of those great colors! I am liking Deja-Vu. That one does seem popular! That yarn looks so yummy! I bought Malabrigos for the first time at Stitches this year, and it really is all that! My favorite colorway is the 615 Sotobosque, that whole chocolate/pink thing gets me every time. Whale Road got my attention today. Bobby Blue reminds me of a warm tropical ocean. Beautiful! Your blog is wonderful...thank you! I think my favorite is the Purple Mystery. I love love love purple. Looks like you had a great time, love the photos! I used to use Lettuce all the time, but now that I see their new colors, I'm loving Deja-Vu. Such pretty colorways! So pretty, and Hawaii looks like so much fun! I'm a huge fan of Pagoda. Oh man I wish I was in Hawaii. You are sure not missing any nice weather here in WA. My favorite Malabrigo color is Tiger Lily. I am an orange fan! My favorite at the moment is Paris Night ... we can dream, right?! Thanks so much for "working" on your vacation! Wow. Those are too many to choose from. I'm partial to the Blue Graphite though. They're all beautiful! I love Cinnabar, though. Tough choice, but Nostalgia jumped out at me right away. Love your Hawaii pictures. Can't wait to go back! My favorite Mal colors are SFO Sky and Burgundy. My fav colorways are Nostalgia and Purple Magic... Thanks for putting my name into the drawing! I love worsted, superwash Merino, especially Malabrigo! I am eyeing the new colorway Navidad. It looks lovely. Rios sounds wonderful, and I can't wait to get some, winning or buying. The new colorways look amazing, especially 623 Nostalgia. SO, everyone on Ravelry seem to love Malabrigo, but I have never laid hands on it, and would love to see what all the excitement is about! I think my favorite color of the worsted is Deja Vu, but I absolutely love the color of the yarn in the pictures of on your blog. I am so happy that I won the Malabrigo Rasta from week # 27. I have never used Malabrigo before, I can't wait to get the great prize. My favorite color of the worsted weight is #203 Verdes. All of the colors are beautiful, it is so hard to choice only one. I love all of your Hawaii pictures. I love the warm orange of Rhodesian. I have a serious thing for Azul Profundo. Although I also really love Verdes. But I keep buying hte blue over and over again. As I kept scrolling I kept having a new fav. But Hollyhock stood out! Beautiful yarn! It's hard for me to pick a favorite. Hummingbird jumped out at me though. It's a shame Archangel does not come on worsted, bec I truly love that color, but my fav worsted color is pollen. I am a sucker for yellow yarn. I love all your pictures! 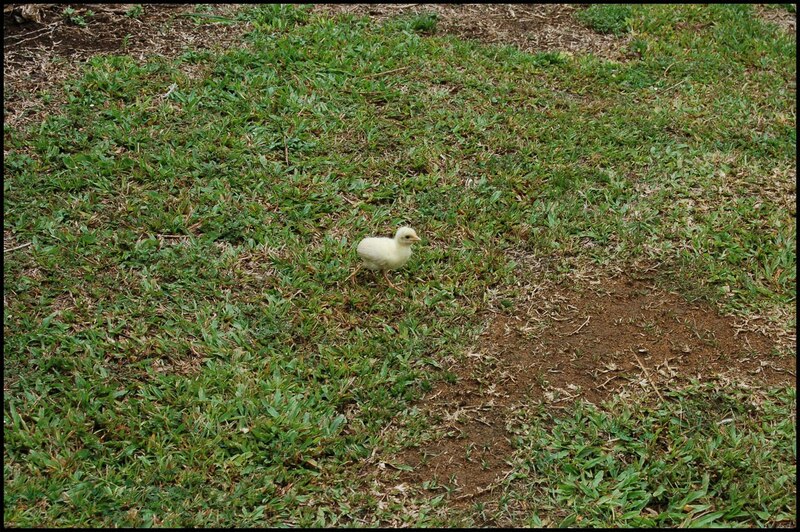 The peacock chick is so cute. I have always loved the velvet grapes colorway in Malabrigo but only have sock yarn in that color so far. mmmalabrigo! wow what a great giveaway. i love all their colors, i dont think i could pick a favorite. i really like their new variegated colors tho. amazing. wow you really spoil us Ve! ty for a great giveaway. Looks like you are having a blast in Hawaii. i hope you and your family have a safe trip home. Aloha! Lime Blue is my FAV FOR SURE! I'm so excited to see a superwash Malabrigo! Love your Family pics! How fun! I'm in a green mood, so I'd have to say Verde Esperanza. I would love to make a cowl with 69 Pearl Ten! Wow, that yarn is beautiful! I can't wait to see it in person! I'm a huge fan of Mal worsted, too - it's my go-to worsted yarn! I think my favorite color that I've ever used is Paris Night - I made a Le Slouch beret out of it that I wear constantly when it's cold. how pretty, both yarn and island pic's! Lol at the peacocks. I remember not knowing they were wild on island even though we had lived there a few years at that point. was camping far out in the woods and awoke one morning to them swarming the camp site yelling to eachother, was a bit eerie and funny. Ooooh, so hard to choose. I think I like Azul Profundo best, though. That seems to be a color I'd love to wear in the summer to look summery and one I'd look to in winter to chase away the cold and snow! Wow! Those colors are incredible! I can't say for sure which my favorite is, because there are too many choices. That new Nostalgia is probably what I would pick if it had to be just one, though. Oh dear....so hard to choose. I think I like Autumn Forest. I am really looking forward to the superwash, I love all the colors, but I love the Apple Green, its so pretty. My favorite color I've ever used is probably violetas, but today Tiger Lily is striking my fancy! I love Deja Vu, but since I'm getting ready to start my winter knitting and thinking about the changing seasons... I'm going for Autumn Forest. I love hiking in the fall. I love Pearl and it's subtle shades of purple. Normally, I'd pick the most purple color, but the blue graphite is lovely. the Rios looks so amazing! my favorite colors are burgundy, stonechat, and lettuce. 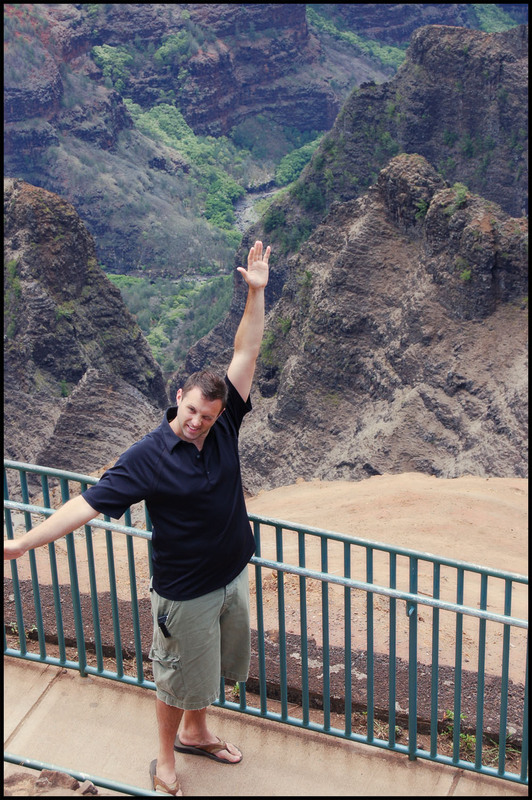 Thanks for the Hawaii pics. They are gorgeous. It's my hubby's and my 35th anniversary in January and I'm trying to convince him to go to Hawaii. We have never celebrated much as it's on the 3rd which is right after all the Christmas stuff AND our daughter was born on our 2nd anniversary so it has always been more her day than ours. I think it's time, don't you? The Malabrigo is absolutely gorgeous! Maybe a bikini for Hawaii? Not. I think I need to get out of my blue and green rut, so I love the Rhodesian and Cinnabar (though all the ones with Azul in their names are awesome too!). Whatever colorway you showed in your blog is fab! I also love the Periwinkle, the many blues, the Cadmium, and Cinnabar. How could I pick just one? I have yet to have the luxury of knitting with Malabrigo (only been knitting 3 months) but Ibiza looks amazing and the Purple Magic is also calling to me. Oh sure - like one could pick just one favorite color! I'll go with a new color 621 Deja-Vu but Navidad is gorgeous also. I've never knit with Malabrigo - maybe I'll win this giveaway - it is beautiful yarn. Your pictures are stunning! I would love to make something out of Verdes, we were just in Yosemite and it reminds me of the trees. SFO Sky is nice too, reminds me of the water falls coming down off the HUGE rocks. sfo sky is beautiful... i haven't knitted anything in gray in a long long time!!! I really do like them all. Malabrigo is my favorite brand. But if I had to choose one, I think I'd settle for Paris Night. WOW. those are beautiful skeins! my favourite is saphire green. so beautiful. so subtle. malabrigo superwash... how exciting is that! I love them all! Especially Tuareg! If I had to pick one right now, I would buy some Sky, so I guess that's my favorite (for now). Pretty! I'd have to say Indigo right now. There are some really beautiful colors of Malabrigo worsted. I love Malabrigo Apple green. Such a fresh color. I've been on a big "teal" kick lately and really liked VAA. Azul profundo, though, was a close second. Wow, that is STUNNING. I think my fav of the traditional Mal is Noviembre. i love Tuareg too, it's such a pretty blue. Your vacation just keeps looking fantastic! 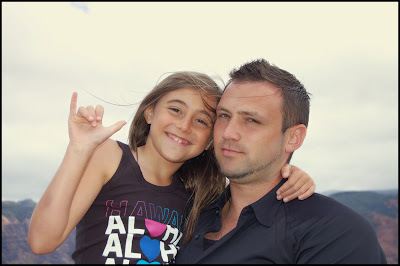 Loved the picture of your husband and little girl. Such a great pair. My favorite color would be emerald blue. I have never knit with any Malabrigo and I think this colorway would be the one color I would love to knit with first. I am loving the Pearl!!! =) But, it is hard to choose just one color! I've become quite enamored with the new Periwinkle color! It's so soft and snuggly looking. Looks like you are having a wonderful time. Thanks for keeping the giveaways going while on vacation. I've never had the chance to meet a skein of Malabrigo in person, but out of all the pictures on the website I'm really liking the Azalea colorway. WOWOWOWOWOW!! Thank you for rule nr 2!!! We are so close to Uruguay and so far from Malabrigo!!! We cannot buy these amazing yarns here in my country!!! Please, add me to the giveaway, its hard to choose one favourite, but I love the Azul profundo, (it makes me remember of the film) Thank you again, and the pictures, please!!!! 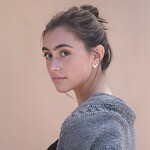 I love all of your pictures, they are beutiful!!! Amazing colors. I can't believe I still have never knit with malabrigo! I think Snow Bird might be my current favorite (or maybe that's just because it is 90 here). Looks like you had a great vacation. Brings back memories of my own to the same location 6 years ago! The Malabrigo is lovely as usual. I guess my favorite color of the moment is Azul Profundo. Thanks for the chance to win. The cinnabar is lovely. Just my color! I'm so excited about the superwash Mal. Yay for superwash! 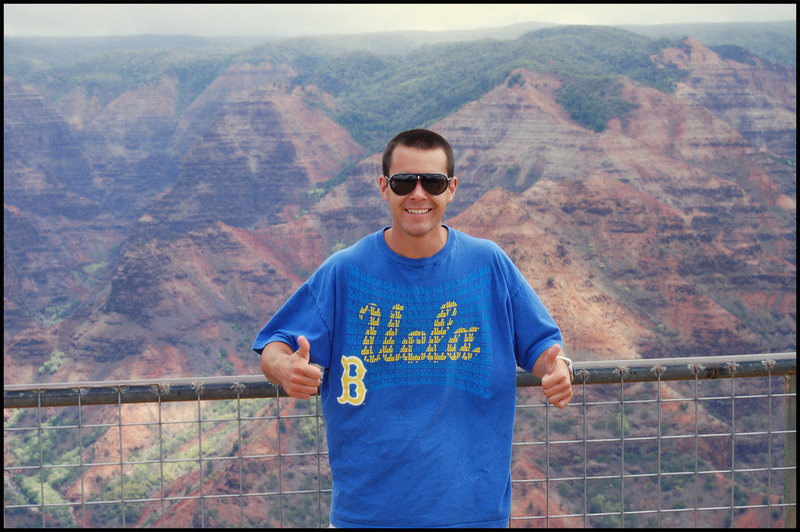 My son worked in Hawai 2 summers ago, he loved it!!!! I can see why, your pictures show how beautiful it is!!! What gorgeous yarns and colors, I love greens and blues. 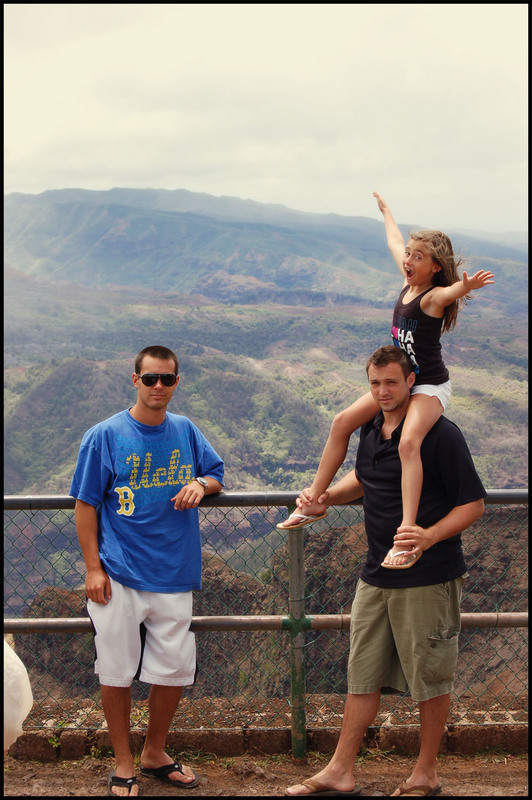 What spectacular scenery you and your family must be enjoying! 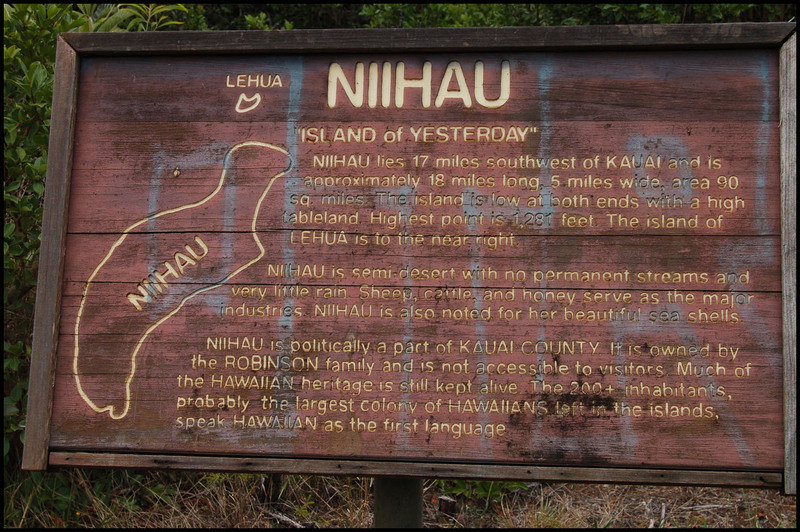 Now I know without a doubt Hawii has to be included on my bucket list. Not an easy task to choose a favorite. But the photos you posted of those variegateds reminded me of some sunrises and sunsets I've had the pleasure of seeing here in the Midwest. Beautiful! Hmm, I'm going with Ibiza. Beautiful photos and beautiful yarn!!! My favorite color...mmm ... blues and greys and purples and... OK, just to name one: Paris Night. polar morn is calling to me!! I can't wait for a superwash, good lord I was actually just talking about a superwash malabrigo YESTERDAY. what are the odds?!? It is so hard to choose, but I think purple mystery or velvet grapes would be my pick. This is my favorite yarn too! These are beautiful....the color and I love that they are worsted. I love Purple Mystery...seems a bit variegated. Sooo excited about superwash Malabrigo! Once again I cannot choose a favorite colorway, I'm just a big fan of all colors! I can't go to the Malabrigo website without trying to reach into the monitor and touch all the pretty yarns. Gonna have to go with Nostalgia... so pretty. This yarn is absolutely beautiful! Personally I adore 224 Autum Forest, it is exactly equal to the color of the streets in the evenings of March here, in the south hemisphere (Argentina)! I'm really amused by the Ravelry Red but Oh My do I love the VAA. Reminds me of seaweed underwater. Tough choice but nostalgia or mariposa are lovely! Thank you! Ibiza, Snow Bird, Hummingbird... Can't pick just one! The SFO Sky is beautiful. I would love a winter cardigan made with this. Wow! 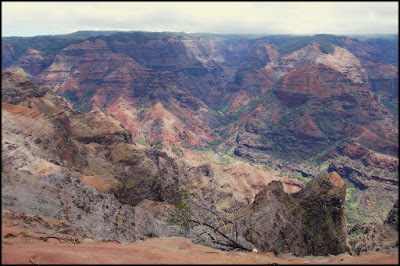 The Waimea Canyon looks like the Grand Canyon! It's also a great real life inspiration for the Rios! I think my favorite colorway from Malagbrio (of the day) is Rhodesian, but I've knit with Sunset and loved it. Have fun in Hawaii! What great colors!!! Soft and superwash, who could ask for anything more. The Indiecita colors are awesome. Verdes is my favorite colorway. Have a couple of projects lined up for this color. The new color Nostalgia looks like it will take a close second! Gonna have to try it out! Ravelry red is the color I like best! It's beautiful... glad you had a great time in Hawaii! 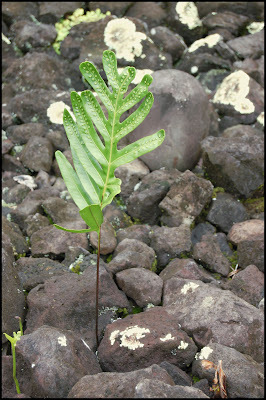 and I love this foto with the little leaf growing in middle of stones, it seems a symbol of courage to me, thank you for sharing it! Fantastic!! Periwinkle is the closest I've ever seen to the real thing! I'm always drawn towards Polar Morn even though I normally love bright, bold colors! Pollen and Moss would be my picks, but really, any of it would be delightful! MMMMMMMm, it's quite difficult to pick just one colorway, but ...it has to be STONECHAT. Thank you. Kisses. Goodness, I'm having trouble picking between Nostalgia and Hollyhock. So pretty . . . want to touch. Yummy Malabrigo. Want. To. Knit. It. I just bought my FIRST Malabrigo in the sweet grape colorway, so that's my favorite right now. 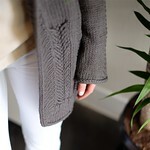 I can't wait to try it when I'm done with my featherweight cardigan! I don't know which makes me more envious, the photos from Hawaii or the Malabrigo ones. And it has to be sheer bliss being in Hawaii and knitting with that lovely yarn. It's so hard to choose, it's probably just today's mood that I like Verde Esperanza best. So hard to choose, I love them all! Azul Profundo and the newer Periwinkle colorways are attracting me the most right now. Oh! and Glazed Carrot is an old favorite too! I love worsted weight yarn! and the merino makes it even better. i would have to say that i am between the grape (i am really in love with purple right now) and the Azul Profundo (i LOVE blues). 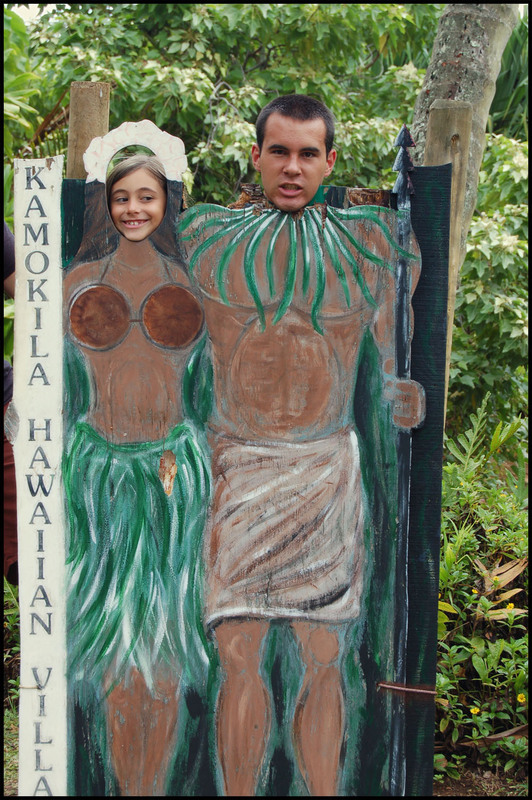 Great pictures, looks like you're having fun in Hawaii. I thought that was a chick, I had no idea baby Peacocks looked like that. I love all of the variegated colorways, so many beautiful colors. My favorite might be 616 Plena or 259 Charrua. Thank you for the chance to win Malabrigo, I hear it's one of the best! 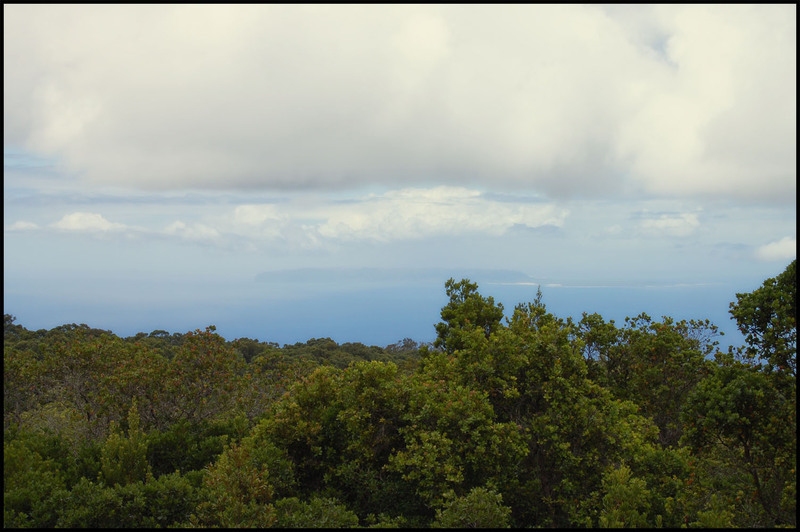 Isn't Hawaii Gorgeous? It is much prettier than could've even imagined. I haven't knit with Malabrigo yet, but I think that the Azul Bolita is beautiful. I like the Sock Yarn in Impressionist Sky. OMG! This blog is great. lol. I have to say I'm torn between 2 colors. I love the Cinnabar b/c the color is intense and reminds me of an Irish Shawl that I wanted to make but I also love the Snowbird b/c it makes me think that it would be a great color for a skirt/tutu when knitted up for my daughter. 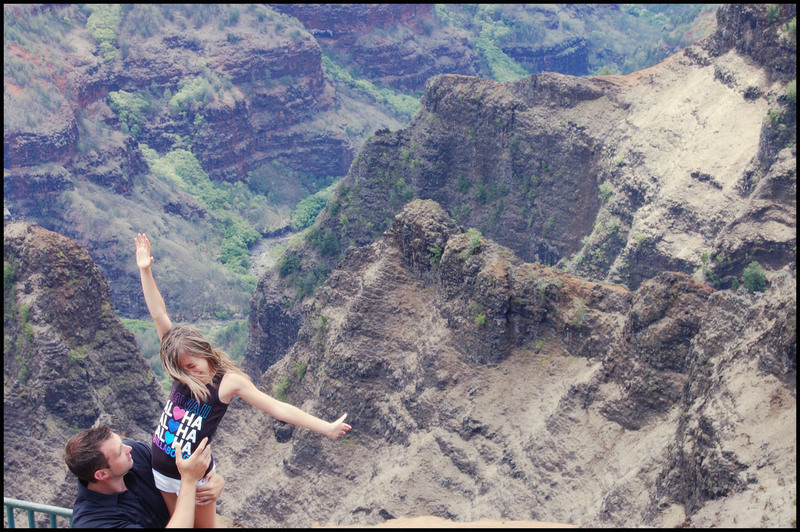 Your trip to Hawaii looks like it has been a lot of fun. My husband and I thought about going for a honeymoon but it was just to expensive so we stayed in the area. Have fun with the rest of your vacation and the Yarn is BEAUTIFUL. I'd have to go with Cognac at the moment. Your vacation shots are fabulous! 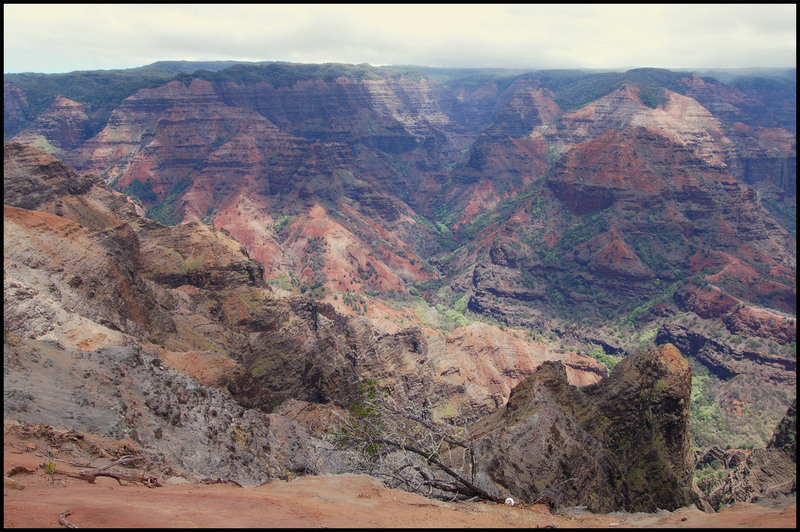 I've never seen photos of Hawaii that reminded me of the Grand Canyon. I already have a skein of Nostalgia in my stash waiting to be used. I also really like Verde Esperanza and Pagoda. Rios looks amazing. I would love to give it a try. I love the emerald color I made a vine yoke cardigan out of. Emerald is my color. I only wish it were superwash! Great pictures! I'd love to go someday. As for yarn, I like the look of Blue Graphite. It's a nice mix of blue and gray. 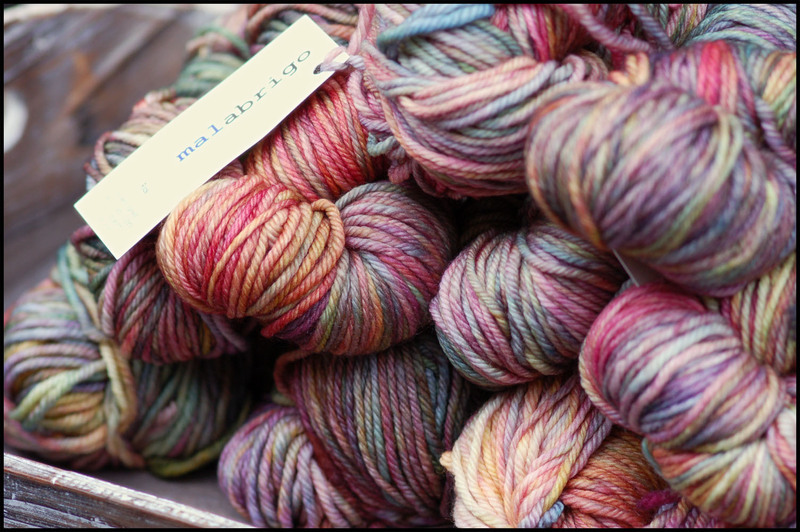 I scream, you scream, we all scream for Malabrigo! Ooooo....more malabrigo!! I am one of those deprived people that has never tried it. Maybe I'll get lucky and win one of these?!?! Crossing fingers for luck! Couldn't begin to pick a favorite colorway but the new Ravelry Red caught my eye. I would choose vetiver, I love the band and I am feeling in a simple mood. Your photos are beautiful! Thanks for sharing. Such beautiful yarns! I love the mix of colours. I have quite a few favorites but today I would say it's Nostalgia. Reminds me of the sky, the green pines around the lake. Oooh, I love all the different greens. I think my current favorite is Nostalgia. I made a great hat with Curacao, which I love very much. I don't see that colorway on their page anymore. I have to say Emerald Blue is my favorite but thy are so pretty! o h m y g o o d n e s s ! 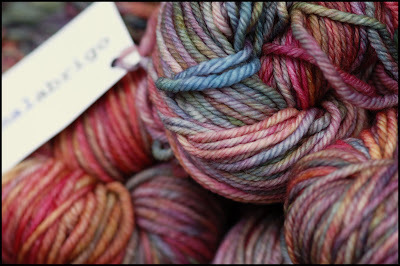 That is a truly gorgeous yarn, I am fanatical about Malabrigo but I know I am not the only one! My favorite (yeah, right) is Verde Esperanza. IF I have to pick only one...but any green is a good green to me. Thanks for offering this up! I'm stuck on neutrals right now, so vetiver looks like something I would be drooling over. I can't pick just one as a favorite. I can't even pick just two. I'm stuck in a loop. My eyes keep jumping to Ibiza, My gut keeps telling my to pick Charrua. My brain keeps reasoning that I'd never use, let alone wear, those colors and should pick something more like Sotobosque, or Coco. Then, my eyes go "but look at the pretty," and it starts over again. Who could pick just one? They are all gorgeous! I guess I would pick Pearl if I had to pick one. Thanks! What a hard choice! I really like Pearl, Blue Graphite and Mint. Those are my very favorite. That would be lovely to win and make something out of this beautiful soft yarn! Verdes. It's my green thing talking again. Hope you enjoy the rest of your vacation! Oooh, I can't wait to see this in stores! My favorite colorway is probably Autumn Forest. That is a beautiful superwash! I love Malabrigo but prefer to work with superwash wools, so this is my new answer! My favorite is floral, because it's a very happy summer color. Love the photos from your vacation. I really like the colorway you have on the post. Are you kidding me!!! One of each, please! Deja Vu today, something else tomorrow! My first and only time using Malabrigo was the Brisa colourway, but looking at it today, I'm falling for Kaleidos. Does it show that I like Pink and Purple. Enjoy your time in Hawaii for all of us that are far far away from there. I have never use Malabrigo and will love to try this. I like 16 glaze carrot, 63 natural and teal feather. I would have to go with Azul Bolita. I love blue glass & it just sings. I made a gorgeous lace knit scarf out of the Paris Night and it's just beautiful. I'm now imagining a shawl made from Polar Morn. Wish I was in Hawaii too! That Pagoda colorway is delicious! I love purple mystery and cosecha. I'm oddly drawn to it. The vay-kay pics are incredible by the way! Like everyone else who has ever knitter with Malabrigo, it's such wonderful stuff and this new Rios is really getting some good press. All of their colors are so rich and it's hard to decide which one, but if I were pick right now, it would be Paris Night. definetely the cognac colour, so gorgeous! That malabrigo does look amazing! My mother lives in Hawaii and while I don't get to visit her, my sister was there a few weeks ago. My sister (50+)took her first ever surfing lesson too! It's so hard to pick a favourite, but I think mine today is Coco. Looks like you guys had a great trip! So far my favorite Malabrigo is the Purple, Green and Gold that I got in New Orleans. It's destined to be a hat for this coming Mardi Gras! Ohhh, this yarn is so elegant! I can't imagine having to pick just one favorite. I have had my eye on Kaleidos for some time now, but I am instantly drawn to this new Purpuras. It is such a vibrant yet classy colorway. I hope you are well and able to make the most of your summer!